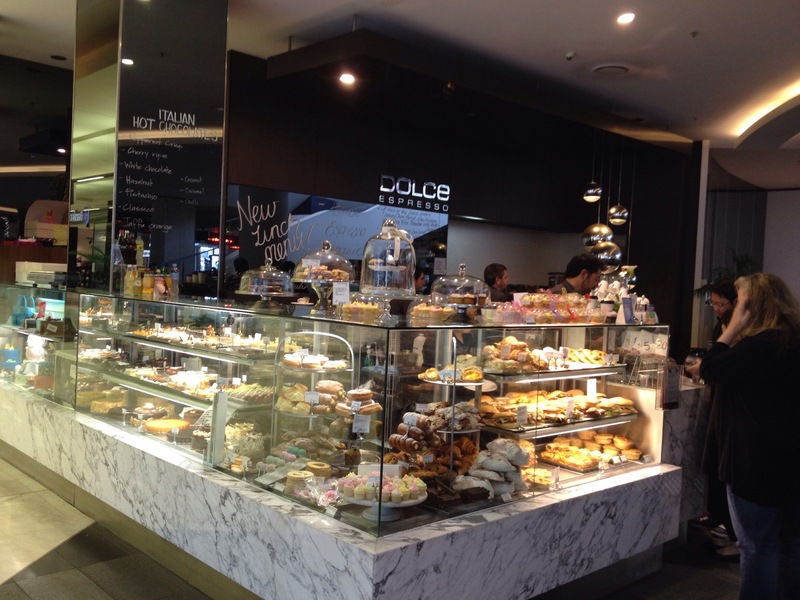 Positioned at the opening of the Drum – a food court in Westfield Doncaster – Dolce Espresso is clearly an Italian cafe experience: gleaming white LaMarzocco FB80, 4 Mazzer grinders and a dazzling display of colourful cakes all scream “Italy”. However the quality of the espresso is not the old school bitter italian robusta special, it’s a modern specialty coffee. Dark roasted with subtle fruitiness the espressos are rich and creamy with nice acidity.